From a pool of 10 institutions, BNZ has come out on top as the Canstar Bank of the Year – Online Banking 2018. 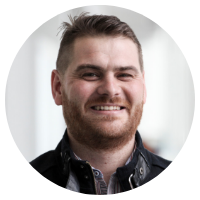 We caught up with Stephen Bowe, BNZ general manager digital. He shared insights on how online banking can help customers keep track of their savings, and thoughts about where digital banking is heading in the future. What defines and sets BNZ’s digital banking offering apart from the rest of the market? The team at BNZ Digital are relentlessly focused onbringing to life the bank’s overall goal of helping customers be good with money. We know money is important and we want to help our customers do great things with it, whatever their individual goals, ambitions or dreams might be. Digital banking has become a bit of an arms race to have the next new feature. At BNZ we’ve tended to shy away from that approach; our goal instead is to try and do things better. Actually, that’s why it’s so pleasing to win this year’s Canstar award, especially because it has been judged not just by what features you have, but also against the overall user experience and customer sentiment of our platforms. Those are the factors that matter most to us. Over the past 12 months we have made some great progress in allowing customers to do more of their banking online with BNZ. However, our goal is to move beyond the transactional nature of online banking and enable a better way of managing your money with BNZ. How can customers customise their BNZ online banking platform to suit their own money-management needs? One of the inherent weaknesses of digital banking, as it has developed over the past decade, has been the lack of personalisation in the experience. It’s been very much a one-size-fits-all, with generally little more changing in the experience between different customers than the accounts numbers and balances that are displayed. However, customers don’t think about their money in that way. They don’t think about bank accounts or bank products. Instead, people think about their goals, their commitments and their everyday financial needs. We’ve developed a platform that reflects how customers think about their money, not about their banking. Each customer can personalise the layout of the screens, so they can have their banking their way. They can create as many accounts or ‘pots of money’ as they need and they can personalise these with pictures and targets to reflect the nature of their specific goals. As a result, banking with BNZ is a personalised experience, not just a transactional one. Over the past 12 months we’ve worked hard to help customers get the most out of the platform as well. The reality is that many of the features people want, already exist on the platform, so sometimes it is about helping them find these features. This can be especially hard when we’re releasing new functionality every week nowadays. As such, we’ve provided personalised help within the platform which provides different insights to different customers, according to how they are using the platform. This is also reflected in the different security options that we present to customers. We know that customers have different levels of comfort around transacting online. For that reason, we have introduced a series of tailored notifications (both SMS, Push and Email) as well as the ability to configure your card security through digital channels. Customers are able to toggle on/off the ability to make contactless payments, shop overseas, use an ATM, put in a temporary block or make online payments. We have seen a great response to this capability. We are also proud to have recently introduced the ability for our customers to complete their online transactions in Te Reo Maori in both the Online and Mobile Banking apps. This has received a great response from our customers since we launched it. What changes are you seeing in consumer preferences with their digital banking requirements (around security, accessibility) etc? Customers want to bank at their convenience; 80% of all BNZ’s online traffic now is through mobile. Only seven or eight years ago, apps like this didn’t exist which demonstrates just how quickly banking has changed. Fundamentally, the banking relationship is one of trust. So, customers also rightfully expect that the bank knows them and will be capable of not only enabling them to bank conveniently, but also assisting them in achieving the financial outcomes they want and need to support their lifestyle aspirations and avoid pitfalls. A generation ago, your bank manager or personal banking consultant might have played this role but, in today’s environment, that means our customers expect that we’ll be there digitally to help them beyond providing transactional capability. The other part of the trust equation that underpins the whole relationship is that customers need to know we’ll keep their finances and their personal data safe from prying eyes. The burden of doing this will sit with us (the bank) and is not placed upon them. A good example of this are recent changes we made to our second factor authentication solution, where our customers can now elect to complete second factor authentication through a push notification to their mobile, which is more secure than SMS and infinitely more convenient than our previous solution of a NetGuard card. What do you see in store for digital banking over the near-to-medium future? 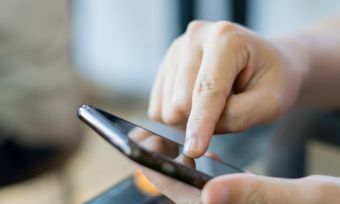 The focus for most banks over the last few years has been to build out mobile services to meet the ever-growing demand for mobile banking features. Customers no longer see mobile as a pocket-sized extension to a fuller internet banking experience; they see it as the single place to get all their banking done. There’s a lot of discussion around open banking. How do you think this will play out and what impact could this have on customer banking behaviour? At BNZ, we support open banking, primarily because we think it creates an opportunity to deliver new and better solutions for customers. When you think beyond just helping customers do their banking, to instead helping them manage their money, it quickly becomes clear that you also need also go beyond the traditional boundaries that have previously defined banking. When you take that perspective, it’s also clear that you can’t do everything yourself and that you’re going to need to partner to be successful. Open banking helps bring that to life. In fact, we don’t think the concept of openness should just apply to banks. It should apply to all industries, because in order to stay relevant, all organisations need to be in the business of delivering customer outcomes. However, it will take time for customer behaviours to change and for them to embrace open banking. People’s finances are very personal, so there are few customers standing around asking for open banking. There was a study in the UK that highlighted just how few customers feel comfortable sharing their banking data with a third party. As such, it would be naive to expect that customers will come flocking just as soon as we publish a set of open APIs. 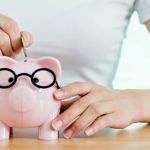 Clearly, there is a lot of work that needs to be done in parallel to position open banking favourably in the minds of customers, to clearly articulate the benefits of any new value propositions and, crucially, to positively communicate the security considerations associated with a new way of banking. 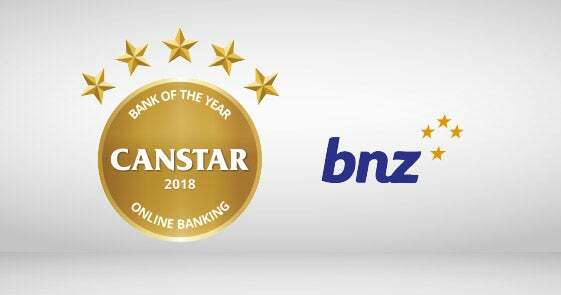 New payment options and additional online banking functions have been major drivers in BNZ winning the Canstar Bank of the Year – Online Banking Award in 2018, Canstar NZ general manager Jose George says. 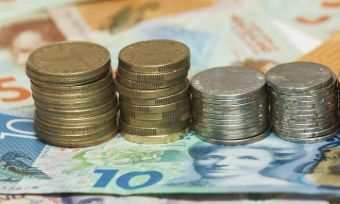 BNZ has increased the options available for their customers to make payments, adding ApplePay and wearable digital payment options to their offering. Customers now also have access to a host of new functions on the online banking platform, to make it easier to make payments and to manage money, such as the drag and drop function between accounts .